SCIENCE OF SUPERHEROES Writers Win Two National Awards! 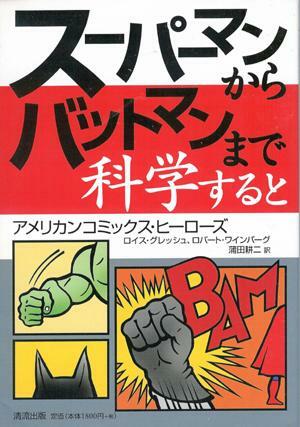 On April 11, 2003, at the Rochester Chapter Award dinner for the Society of Technical Communications, THE SCIENCE OF SUPERHEROES by Lois H. Gresh and Robert Weinberg won two awards in the International-Level Competition sponsored each year by the Organization. The book received an award for "Distinguished International-Level Merit in Technical Communications" and also won the special "Best in Show 2003" award from the Rochester Chapter of the Organization. This is the first time ever that a book on pop-science and comic books has been so honored by this highly regarded professional association. STC is the world's largest professional association for technical communicators. With more than 20,000 members across the globe, STC provides unparalleled opportunities for continuing education and peer networking. Members include every kind of technical communicator, including technical writers, editors, and illustrators as well as Web designers, technical translators, and managers and teachers of technical communication. They work in industries as diverse as computer software, medicine, aviation, manufacturing, and entertainment. STC has 150 local chapters on six continents-- anywhere people need technical information, STC members are there. Ms. Gresh, a member of the Society's Rochester Chapter, attended the dinner and was caught completely by surprise by the double honor. In her short, impromptu, acceptance speech, she thanked the Society for the two Awards and promised to keep up the good work. Now available in trade hardcover edition from John Wiley & Sons, is The Science of Superheroes written by Bob and Lois H. Gresh. For more than sixty years, comic book superheroes such as Superman, Batman, the X-Men, the Flash and Spider-man have protected humanity from evil-doers while defending truth and justice. Now, Bob Weinberg and Lois Gresh have launched and amusing yet provocative investigation behind those superpowers in their book, The Science of Superheroes. Featuring an introduction by Dean Koontz, the book seeks to answer the question: science fiction or science fact. Beginning with Superman, the first comic book super hero, the authors ask how can a building lifted by Superman remain in one piece? Could he actually travel faster than the speed of light? If Superman's strength is a result of the much stronger gravity on Krypton, exactly how big was Krypton? 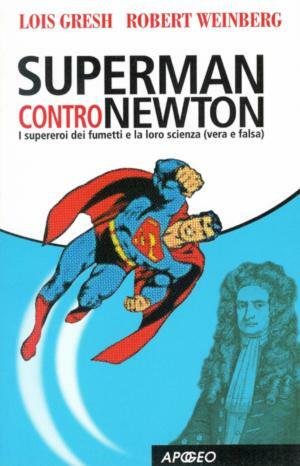 Filled with real scientific evidence, Gresh and Weinberg's findings will delight and amuse any superman fan. From there, they move onto other super characters including the Fantastic Four, the Incredible Hulk, Aquaman and the Sub-Mariner, Spiderman, the Green Lantern and many more. 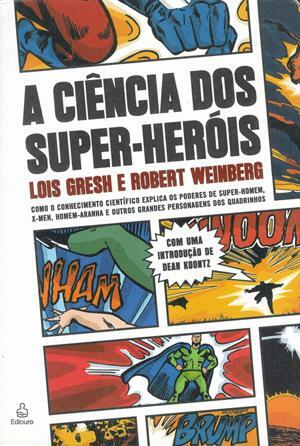 Concluding the book, Weinberg and Gresh ask several well-known comic writers their opinions on the science in comics. Published at $24.95, The Science of Superheroes is available from John Wiley & Sons, Amazon.com, and bookstores throughout the United States, England, and Canada. Foreign rights have been sold in both Europe and Asia; the British Science Fiction Book Club plans to bring the book out in January. And, there's even talk of a possible movie or TV special sometime in the future. "Overall, the book has just the right tone -- straightforward, educational, but not too stuffy or serious. They aren't making fun of superheroes or poking holes in the stories, but using them as springboards to teach readers more about the principles behind the concepts. At the same time, they aren't bending over backwards to make the heroes "realistic" or believable; they understand that some things are done for the sake of interesting or exciting stories." Comics Worth Reading, Johanna Draper Carlson. "Exactly how powerful is the gravity on Krypton? Do mutants exist? If an ant's enlarged to the size of a human, could it push over skyscrapers? What is a gamma bomb? If you've ever wondered about these and the many, many other questions raised by super hero comics, you're in luck. 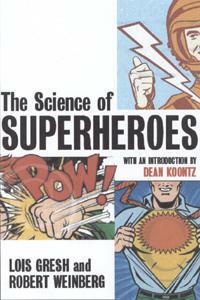 The answers are all included in the new book, The Science of Superheroes by Lois Gresh & Robert Weinberg, due from publisher John Wiley & Sons on September 13, 2002. This 224 page hardcover volume, which features a new introduction by best-selling author, Dean Koontz, will retail for $24.95 in the United States, $38.95 in Canada. 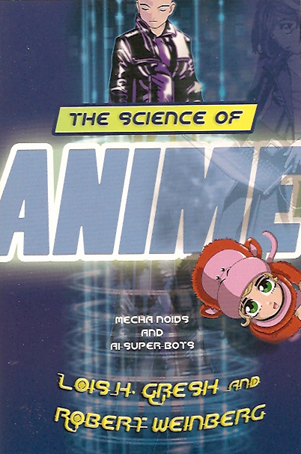 The book takes a lighthearted but rigorous look at the science used in super hero and science fiction comic books, ranging from Superman to Spiderman to Strange Adventures." 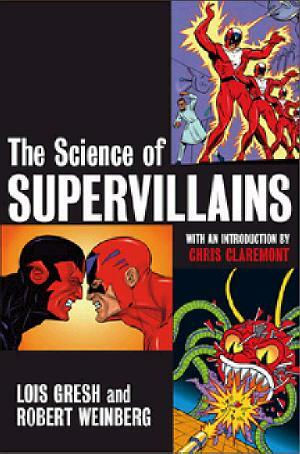 The Science of Superheroes continues to sell well, in the USA, as well as overseas. B. What Makes Superman Super? B. The Power of a Spider? B. The Secrets of Other Worlds, Exposed! by Robert Weinberg and Lois Gresh. 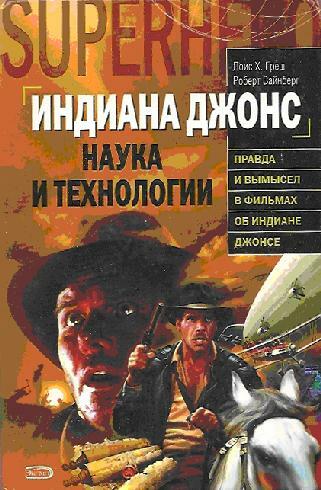 Cover art is copyright © by John Wiley & Sons. Chapter 10 deals with the four forces in the universe. Chapter 13 deals with the Big Bang. write-up in the February 8, 2005 issue of USA TODAY. 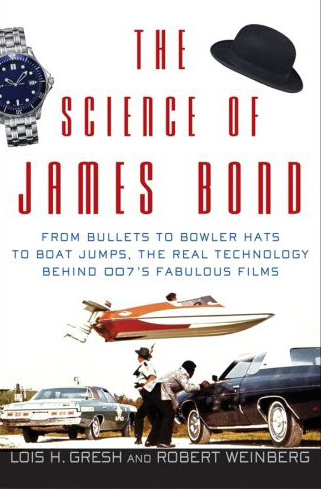 From the authors of The Science of Supervillains (2004) and The Science of Superheroes (2005) comes this lighthearted examination of the real-world truths behind the fantasy world of 007. Can a tossed bowler hat really decapitate a man? Can a car really fly, or turn into a submarine? Can a simple wristwatch do all the wondrous things Bond's watches have done over the years, from garroting people to detonating bombs to shooting out laser beams? 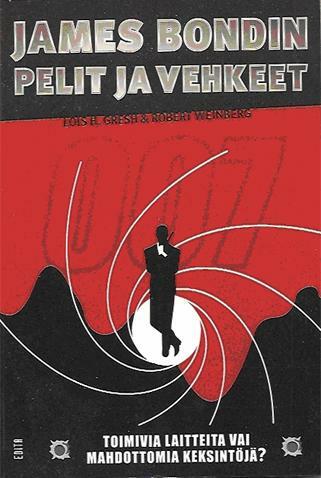 The authors take none of this too seriously: the book is written in the spirit of the Bond films, with a wink and a nod. But there is a wealth of fascinating information here for fans of Fleming's superspy, and some readers might be surprised at just how many of the fictional gadgets were based on, or evolved into, real pieces of hardware. 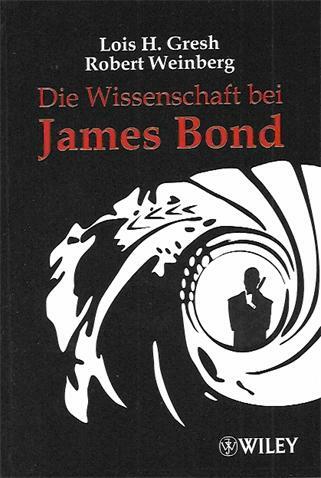 The Science of James Bond has proven to be a tremendous hit and has been reprinted all over the world. There have been numerous reviews and articles written about the book and Lois and Bob have been interviewed by radio shows all across the United States and Europe. 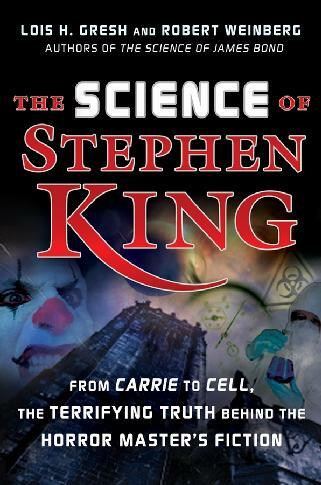 This is the first book to examine the science that wreaks havoc in many of Stephen King�s greatest works. It offers a fun, penetrating probe into psi powers, quantum chemistry, longevity and genetic research, biological warfare, and more. A must for his tens of millions of fans. 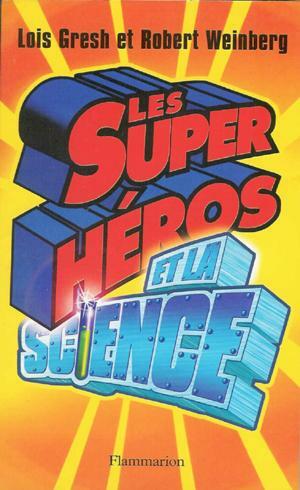 Lois H. Gresh (Scottsville, NY) and Robert Weinberg (Oak Forest, IL) have written numerous books together, including The Science of Superheroes and The Science of Supervillains. Paperback, 272 pages. Available August 31, 2007 from Wiley. 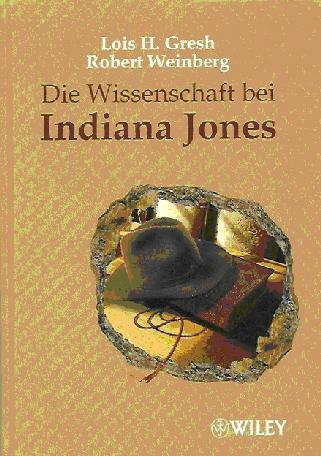 The true history, supernatural wonders, and mysteries of Indiana Jones. Could you really use a bullwhip to swing across a chasm? Or rip out a man's heart without killing him? Was there a Shanghai mob in the 1930's - and did the Nazis have a real-life connection to the occult. 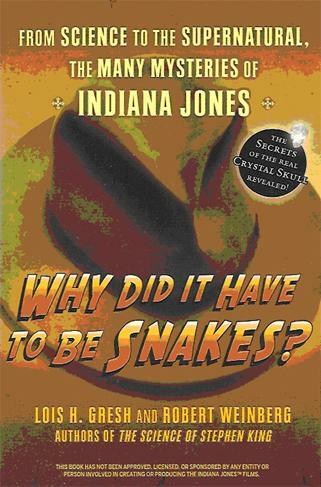 At last, here is the book that finally answers the Indiana Jones related questions that have troubled you for years. 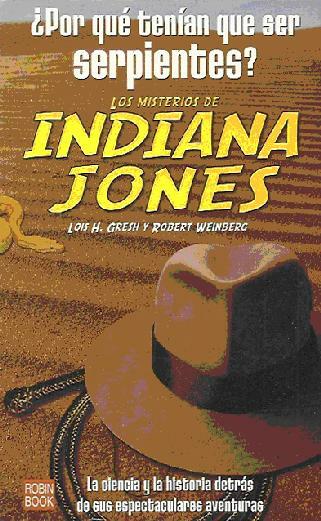 It tells you everything you've ever wanted to know about the history, culture and science behind some favorite Indy scenes and settings. You'll find out the truth about the Thuggees and their deadly practices, ancient death traps, the Well of Souls, Kali worship in India, the infamous bizarre banquet that included chilled monkey brains, the Sankara Stones, the Cross of Coronado, the Holy Grail and more.